Do you like the title? When I was on Pinterest over the weekend, I came across a card featuring the Sure do Love You Bundle and the Hedgehugs stamp set. The card was designed on new Whisper White Narrow Note Cards. I loved the layout so much that I decided to CASE it. The only problem was that I did not have the new note cards. 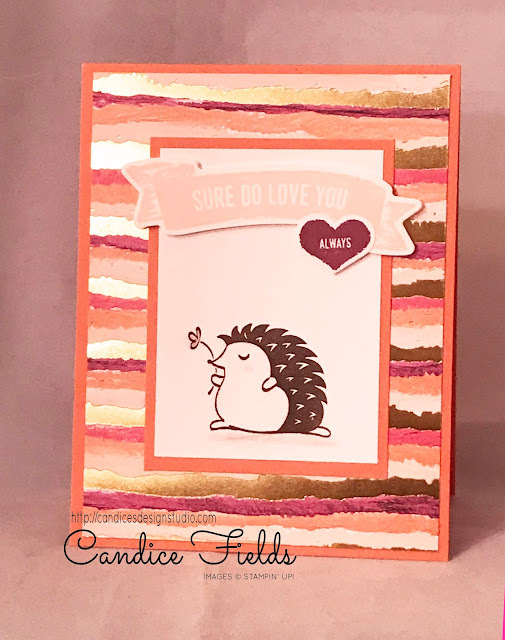 I decided to make a standard A2 size card and incorporated the new Painted with Love designer series paper.